Came in with a slow puncture and it was fixed quickly. The lads were lovely. Booked an MOT online for 10am the following day got a phone call from Michael to remind the booking slot was close. Great communication, service and it helped the car passed. The guys could not have been more helpful in getting my car back on the road. I had arrived in Durham hoping to offload my son's things for his 2nd year at Durham University. The nearside rear pads had jammed and the car needed a new set on both sides. The Manager was only able to locate the discs and pads in Gateshead, so he took the trouble to drive there to collect them. On his return, it only took about 30 minutes to fit them. I am very grateful for his brilliant service and for the fitters, of course. Really quick, good service and friendly staff. Took car in on Wednesday to check tracking as steering was off, only to find out inner track rod joint was worn. Staff really helpful to book car in on Saturday morning to sort it, and was fixed within an hour. Can't fault. It is the first time I have used National Tyres and Autocare. I will certainly be returning. All the staff in your Durham branch were courteous, helpful and professional, especially Daniel. An excellent all round service. A very helpful chat with the Manager Michael Doak, and with the fitter Daniel Crone; then work carried out well and quickly. Very amiable staff. Clear description of work carried out. Competitively priced. Had 2 tyres fitted ordered online plus organised front wheel alignment in the branch. excellent service, polite fast and friendly. very happy. Gary found nail in tyre. fixed it in 20 mins. Magic! Excellent speedy service and even better customer service. Checked my tyre understood i needed to get home as hospital appointments. Quickly squeezed me in and gave helpful advice on other tyres. Fantastic top class service. Quick service and very friendly staff. Very helpful. Very good service. Professional approach. Friends service from helpful and experienced staff. Excellent service. Helpful and professional staff. Thank you. Staff gave excellent service both on phone and in branch. Very helpful as I am disabled. Swift and efficient service. We had the exhaust on the car replaced. 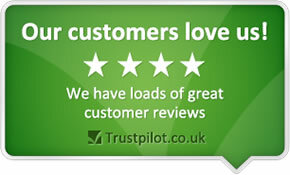 The man who helped us was extremely helpful, knowledgeable and explain the entire process. The job was done efficiently and to a high standard. The staff, James, could not have been more helpful. Got to the bottom of the problem and sorted it with efficiency. Friendly service, good value for money. Staff give straightforward information and advice, that can be trusted. The staff are professional, efficient and friendly. Excellent service, quick and efficient, don't feel like I'm getting ripped off cos I'm a female and not really car savvy! Absolute great service given! Now I believe this chap wasn't from this particular branch in question but it states Connor Bide if that's correct on my receipt? I'd like to say what a great young, profession man he is! I originally came in for two tyres I had placed online then I was informed of my tracking potentially being out on my vehicle to which he explained in detail for me to understand. Not only that but he checked with me every step of the way first of all shown me my tyres, then told me the readings, then told me what they should be and the possible cause of it being out of alignment. Then to ensure my car was perfect again he even road tested it to check everything was correct before handing it back to me. I couldn't thank this young man enough. I'm 83Years old and I'm telling you now it's been a good 20/30 years since I've had such a great conditinal service like that! Thanks again! Excellent pleasant staff. Speedy service and clean comfortable waiting area. Excellent service. Helpful in explaining the issues and trying to ensure that work done was cost effective whilst maintaining as high quality of service as possible. Staff customer service is second to none. Nothing is ever a hardship and Michael Doak is superb. Would not go anywhere else when it comes to my car! Extremely friendly staff who were very attentive. Excellent service. Perfect! Very quick and clean service. Extremely courteous, professional and friendly service. I had to wait for a parts delivery but the staff made a genuine effort to hasten the delivery and were attentive to me as I waited. Because its local,open on Sundays and a quick friendly service.No hassle. Always good service and friendly. efficient, value for money, no hanging around, courteous. We were booked in for an MOT quickly, staff were very pleasant, the price was very reasonable and also timescale was as stated. professional courteous and helpful staff. The staff are helpful, courteous, friendly and efficient. Quality, speed of service & price. Unbeatable price and the MOT was completed in good time. The staff member gave me excellent advice about the wear on my two front tyres and explained fully about the choice of new tyres available. I was really pleased with the Dunlop tyres he fitted just before winter weather. Fast and efficient service with sensible advice. The tyres were available for immediate installation. Pricing was good. Quick and efficient service at a good price. Excellent, professional & not-to-expensive service, given by polite, down-to-earth people who take their time to explain things & give advice as & when needed. Fast, efficient, courteous,good value service. Fitted my car in straight away and didn't try to sell me stuff I didn't want. I have been using national tyres for well over 15 years now and the level of customer care, helpfulness and attitude of all the staff I have dealt with over that period has been exceptional. I can only say that the training these guys receive must be excellent and they are a great advertisement and asset for the company. No matter how busy they are the level of service does not slip. quality , speed , good lads . Courteous service for MOT, but I had to wait a week for re-test as examiner was on holiday- I know he is entitled to his holiday, of course. Criteria below this box are not clear. My main reason I have gave a score of 10 is down to the service received by James Parkinson. He is a credit to National tyres. I hope this is picked up and he is rewarded for going that extra mile. I placed my order based on his service prior to purchase. I must also say thanks to your online chat team and emails from Katie & Rob from the online team, to put the icing on the cake will be for my refund to come back to me within the stated 3 to 5 days, thanks, much appreciated. The driver and fitter was polite and very efficient and he arrived nice on time. The branch managed to book my car in for an MOT at relatively short notice which was appreciated.They also carried out necessary work at a convenient time to me. Michael, the manager at Durham branch, went the full 9 yards to explain about the tyres that I needed. He ordered them, told me when they'd arrive and when he could fit them. He was extremely friendly and personable and he even loaned me his own brolly so that I didn't get soaked on my way to a nearby cafe whilst they were being fitted. Excellent service all around. As I woman I sometimes feel a bit patronised in a male environment (which garage services regularly are) this time I felt really welcome and well looked after. Very helpful and honest staff, especially Michael Doak. There's absolutely no sense of the staff trying to make extra work and take more money from you like some other garages. The staff are very customer focussed. I presume 10 is the highest recommendation. The staff were very friendly, helpful and quick despite me turning up without an appointment. Quick and efficient service at a price that was guaranteed.This was my second visit within a week (for separate issues) and it was good to find the service was consistently excellent. Your staff were always courteous. Staff were welcoming and friendly, they explained everything. Prices were very competitive and everything was done to a high standard and completed when they said it would be. Your technician was excellent, gave good advice and had a "can do" attitude. He was very busy and I had given no advance notice of my urgent purchase, nevertheless he was able to help. A first class service which will encourage me to choose this branch again when the need arises. The branch number was 305 and is based at Sherburn Road, Durham . Your technician was a Mr. Michael Doak. The work was carried out on 12April 2015.